Snow Removal, a team of at least two working foreman and hand shovel laborer(s) will be sent out for all snow & ice removal service calls. This is to provide a safe environment for residents and/or employees of property, as well as employees of All Seasons Lawn. Removal services will be conducted once per day. 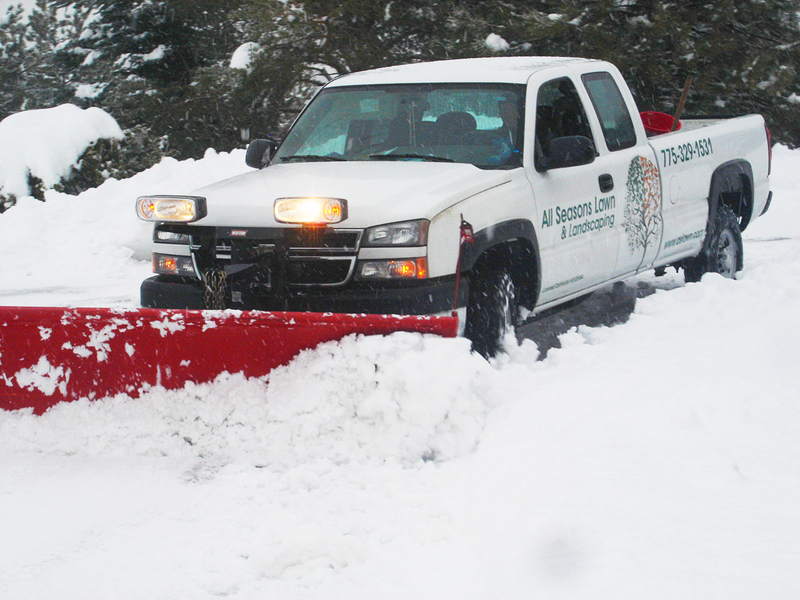 We will automatically come out at a “designated trigger point” falling and plow or shovel all snow and ice from specified areas.